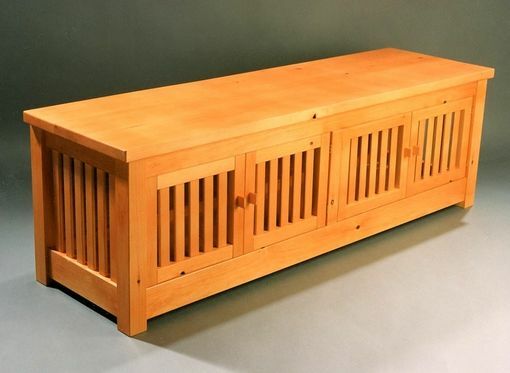 Bench in Sugar Pine is designed and crafted to be a useful and attractive addition to an entryway or mudroom. 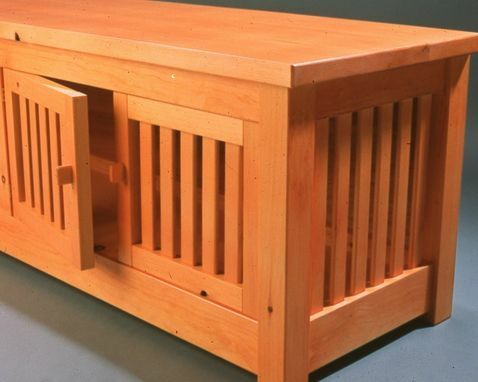 The top is set at a good height to sit to remove boots and the storage area beneath is open so that they may dry out of view. This piece was delivered and placed in the entryway but before long the clients moved it into the livingroom. It was too nice for the entryway.